On trial for terrorism: Curtis Allen, Gavin Wright, Patrick Stein. One of the biggest terrorism trials that I can remember is now unfolding in a Kansas courtroom. It started two weeks ago. I suspect you know nothing about it. Three men, members of an anti-government militia group called the Kansas Security Force, are accused of plotting to bomb an apartment complex housing Somali immigrants and their mosque in the small town of Garden City, KS, where many of those targeted work as laborers in the meat packing industry. According to the informant, the three would-be terrorists decided to hit back after the 2016 attack on the Pulse nightclub in Orlando, FL, by a gunman who had pledged allegiance to the Islamic State, and began trying to recruit other militia members to join them. A Kansas militia member started trying to recruit other members to kill Muslim immigrants after the 2016 attack on the Pulse nightclub in Orlando, Florida, an FBI informant testified Thursday. Dan Day told jurors that Patrick Stein called him a couple of days after the Florida attack in which a man who had pledged allegiance to the Islamic State group killed 49 people. He said Stein told him he was “ready to take action” against Muslims and wanted to see who else in the militia group was with him and who wasn’t. 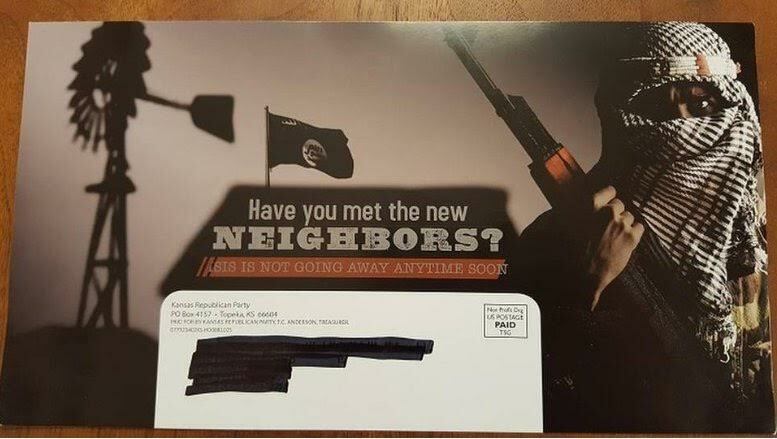 Their plan also came together in a climate in which the Kansas State Republican Party was actively stoking fear of Muslims in order to make political points ahead of the 2016 presidential election. Read what I posted about that here. Or just take a look at one of the party’s campaign mailers, circulated to households across Kansas. If you’ve read this far you probably know what’s coming next. 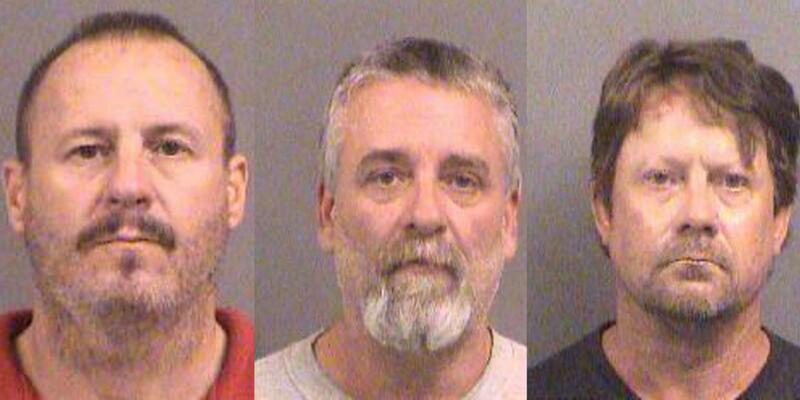 That’s right, your regular reminder that these three Kansas men, all white, all middle-aged, all angry, all claiming to be Christians, represent the typical face of terrorism in America.